Michael teaches both guitar and bass to beginners as well as to advanced-intermediate students. Michael has a degree in History from UMKC. 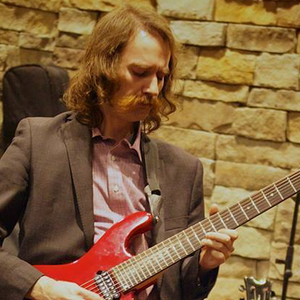 He has been playing for more than 18 years and has studied privately with guitar pros Brian Harmon, Rod Fleeman, Brian Baggett, and Ray Barbie. Michael has also spent time honing his skills at the National Guitar Workshop in New Milford Connecticut. Michael has been teaching since 2007 and has been an instructor at Supersonic since 2015. The thing he enjoys most about teaching private lessons is getting to know students one-on-one and helping them out on their musical journey by sharing the tools he's acquired and developed over the years. 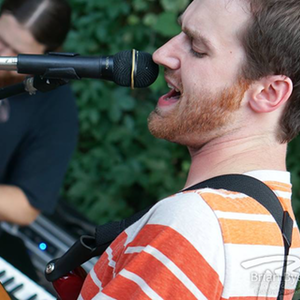 Most of Michael's weekends are spent performing in the Lawrence and Kansas City areas. He plays regularly with the Jazz Cigarettes, Bayley Kate and the Running Late, the Michael Paull Band, and James Rose and Friends. 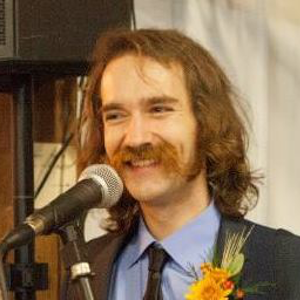 He frequently subs in other local groups, including Chris Hazelton's Boogaloo 7, Blueprint, Bemsha Swing, and the Brody Buster Band. Michael's influences are widely diverse and include Wes Montgomery, Joe Pass, John Scofield, Led Zeppelin, Queen, The Beatles, Billy Joel, Carol King, Hank Williams Sr., Willie Nelson, and Jimmie Rodgers to name but a few! Michael loves what he does. So much so that even when he's got a free moment, he's spending it playing and teaching music. In addition to maintaining his private studio at Supersonic, Michael also teaches at several Lawrence-area schools and performs regularly at various local churches and nursing centers. Michael can be contacted through Supersonic Music.